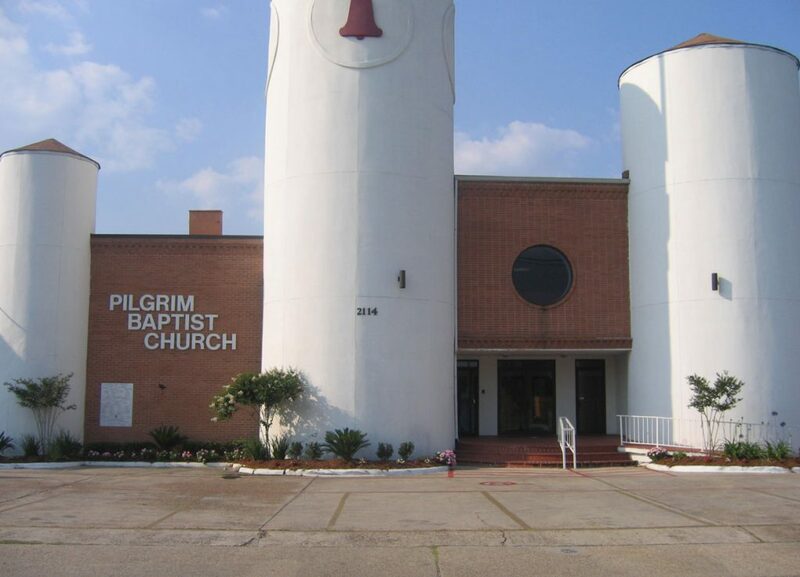 The Pilgrim Baptist Church was founded on April 10, 1851. The foundation of the church was laid shortly before the Civil War. On December 2, 1851, the late Rev. George Robertson, who was then our pastor, purchased the property now located at 1900 Lloyd Price Avenue. After the death of Rev. Robertson, we were pastored by Rev. Armstrong and Rev. Bourell of New Orleans, LA, Rev. Stewart and Rev. William Carroll of Kenner, LA., Rev. Ed Stewart of St. Rose, LA and Rev. John Harris and Rev. Sam Wilmore of Kenner, LA. All of these deceased pastors were men of God who held Pilgrim in high esteem and worked very hard to advance the word of the Lord. On April 8, 1920, the church building was destroyed by fire, and Rev. Wilmore began a new temple on August 9, 1923. He was unable to complete the task because the Lord called him home on March 8, 1925. Once again, Pilgrim was without a leader and the Sis. Patience Jones extended an invitation to Rev. J.P. Jones of New Orleans, LA, to visit our church and preach a sermon. Through the intervention of our Heavenly Father and the Holy Spirit, Rev. Jones accepted the invitation and became the ninth pastor of the Pilgrim Baptist Church in June of 1926. Rev. Jones, being a very kind Shepherd to his flock, began to look for and call the wandering sheep of the church. By the hand of the Almighty God, many heard his voice and came to his call. Ever since that day, we as Pilgrims have seen a brighter day. Rev. Jones served well and accomplished much. On the first Sunday morning in October of 1954, as the late Rev. Richard Wilson, Sr., Rev. Thomas Jordan, Brothers James Carter, J. Billups, Paul Stewart, and his dear wife, Sis. Willie Mae Jones stood at this bedside, Rev. J.P. Jones entered into the Master’s Joy. There are others who cannot be left out of the history of the church. One such person is Bro. Ned Jones, who served as Senior Deacon of this church from 1910 until 1938. It would be amiss if we did not mention others in our history who helped make Pilgrim a strong and vibrant part of the City of Kenner. They are the late Bro. Herman Price, Bro. James Carter, and Bro. Dave “Buddy” Lawson, who all served as Treasurer. Another person was the Honorable Professor J. W. Williams, who came to Pilgrim in 1933 and remained here for 15 years as organist and Director of the Youth Department. During his 15 years of service, he not only labored with our choir, but he gave unselfishly of his time and talents to teach others how to play the piano. They were Sis. Delores Baldwin, Sis. Ethel Williams, Sis. Marion Brown and Sis. Gloria Ward. With the death of Rev. J.P. Jones, we were once again without a leader, but we possessed an assurance that the Lord would provide for his flock. On February 17, 1955, Rev. Richard Wilson, Sr. was elected the tenth pastor of Pilgrim Baptist Church. Rev. Wilson took up the task that was begun by Rev. J.P. Jones of remodeling the church located at 1900 Lloyd Price Avenue. The remodeling of the church was completed in early 1956 and was paid for later in that same year. The Bible tells us, “Where there is no vision, the people perish,” and indeed Rev. Wilson was a visionary and worked diligently to fulfill the will of God. Under his leadership, we added a large addition to our previous church, secured several large loans and paid them off ahead of time and purchased our present site of 130′ x 240′ on March of 1975 for $135,000.00 and paid it off by January 15, 1980. Prior to completion of our church, a dedicatory committee was formed and the dedication of our edifice was held during the week of October 26th through November 1st, 1986. The building of the edifice was a joint effort of the entire congregation, but the Lord, through His servant, Rev. Richard Wilson, Sr. led all the efforts. On the morning of October 26, 1986 at 7:00 a.m., the vision was completed and the time for praise and rejoicing began. We assembled at the old church for a powerful prayer of thanksgiving and the reading of the church’s history. We pilgrims then marched to our new site, by our Pastor, Rev. Richard Wilson, Sr. singing, “We’re Marching to Zion, Beautiful, Beautiful Zion.” It was truly a memorable experience, yet we were not at ease in Zion for there was still much required of us as laborers in the Master’s vineyard. On March 22, 1999, the Lord chose to call home his servant, Rev. Richard Wilson, Sr. and left us demanding upon His guidance for the future. On September 8, 1999, Rev. Richmond Edwards was elected as pastor and installed on October 1, 1999, as the eleventh pastor. On March 15, 2003, his tenure ended. On November 21, 2003, our late Pastor, Rev. Richard Wilson, Sr. was honored posthumously with the renaming of Third Street from Filmore and Third and Pollock and Third Streets being named in his honor. This was done after the hard work of Rep. Glenn Ansardi, Senator Art Lentini, Councilman Mark Johnson of District One, and other Legislators. Jeremiah 3:15 says, “And I will give you pastors according to mine heart, which shall feed you with knowledge and understanding.” On June 5, 2004, after careful prayer and consideration, the members of the congregation elected Rev. Mitchell Jerome Stevens, Sr. as our next leader. Rev. Stevens was officially installed as our pastor on Friday, July 16, 2004. On August 29, 2005, Hurricane Katrina hit the New Orleans area and as a result our church was damaged. But that did not stop us from praising the Lord. From September 25th to April 2nd, our church was able to worship at Nineveh Baptist Church in Metairie, LA. On April 9, 2006, the Lord allowed us to come back to our place of worship. 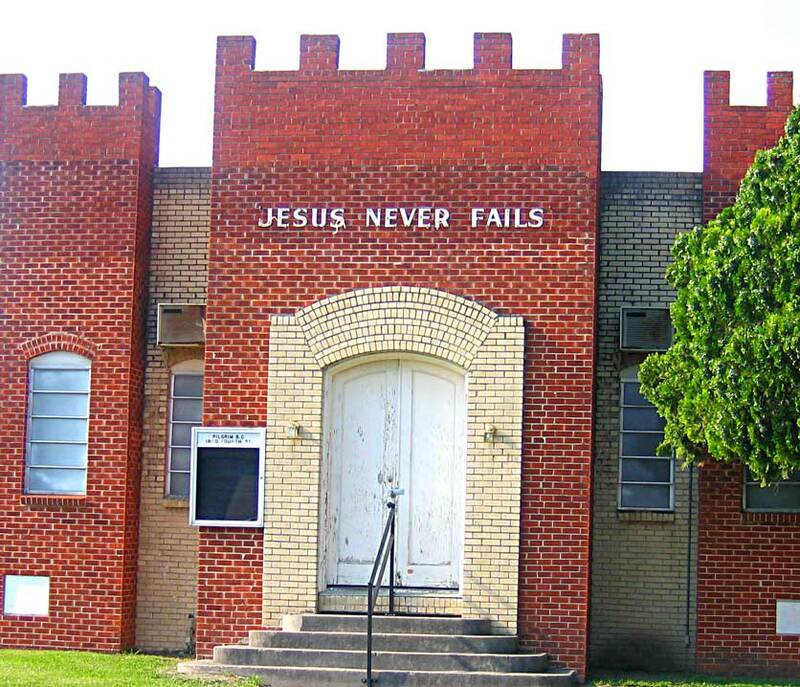 On June 1, 2007, the Pilgrim Baptist Church Annex was renamed the Rev. Richard Wilson, Sr. Fellowship Center after our late Pastor, Rev. Wilson. From November 6, 2011 to December 18, 2011, our edifice underwent cosmetic construction, and as a result, we worshiped at the Rev. Richard Wilson Sr. Fellowship Center. On December 25th, we were able to return home.